What does ‘Exclusive Use’ actually mean? Parkfields offers ‘Exclusive Use’ which means that for the duration of your booking, you have the whole of Parkfields to yourselves. This enables the whole team of staff to be completely focussed on you and your guests. What do you charge for hiring Parkfields? Our venue hire prices start at £1,000. The hire will commence from 12 noon on the day of your Wedding and finish at 12 noon the following day. Why not start the wedding celebrations early and take over Parkfields for 48 hours? This allows you and your guests to check in from 12 noon the day before your Wedding. What does the Venue Hire fee include? 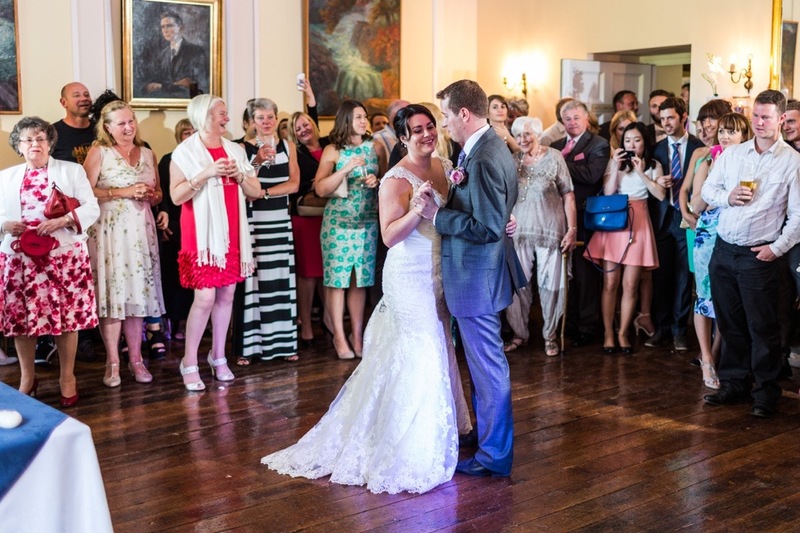 Exclusive use of the main house, all reception rooms and 11.5 aces of grounds, Wedding Coordinator and a full front of house team, table plan display, all tables, chairs, glassware, cutlery and crockery and a personal chef to tailor make your Wedding day menus. Please note, the cost of guest accommodation is not included in the venue hire fee. Can we set up before the Wedding or check in earlier than 12noon? Yes - Providing Parkfields is available prior to your Wedding you can add extra hire on to your booking. Any hour or part of hour required is charged at £100. This is subject to availability and will be agreed in writing 6 weeks before your event. How many en-suite bedrooms does Parkfields have? Parkfields has twenty two en-suite bedrooms. Twenty double/king size rooms & two twin bedded rooms. We can supply extra beds for children up to the age of 12. These are charged at £25.00 each inclusive of breakfast. The Accommodation prices start at £97.50 and are all inclusive of Breakfast. Are we required to take all the bedrooms? No - we only ask that between you, your family and friends you occupy a minimum of twelve bedrooms per 24 hours let. Your guests will be asked to pay for their own accommodation on departure. Can we get married at Parkfields? Yes - Parkfields is able to offer a variety of ceremonial rooms to suit individual requirements. A Civil Ceremony is priced at £475.00. Please note, this does not include the registrar’s fee. What is your minimum and maximum number for weddings and receptions at Parkfields? Can I give my guests a choice of what they can eat? Yes - from the menus A-E you can choose two starters, three main dishes including a vegetarian and two desserts. Wherever possible we tailor make our menus to best suit your requirements. Can we provide our own caterer? We have a dedicated, full time kitchen team on hand who will provide everything that you need. Can we set up before the Wedding or check in early? Yes - Providing Parkfields is available prior to your Wedding you can add extra hire on to your booking. Any extra hour or part of hour required is charged at £100. This is subject to availability and will be agreed in writing 6 weeks before your event. Do you have any contacts for bands and discos for our evening reception? Yes - we have a list of artists that have worked at Parkfields before – alternatively you can provide a band or disco of your choice. Please ensure that your chosen evening entertainment have their own Public Liability Insurance. All performing bands and discos will incur a £100.00 entertainments fee which includes a private changing room. Are we allowed to bring our own alcohol and do you offer Corkage? No - We are a fully licensed premises with an extensive bar & wine list. If there is something specific you would like that is not on our lists then we are more than happy to try and source it on your behalf. What time does the party finish? We ask that music in the Castlebrook room finishes at Midnight. After which you can put your own music on in the lounge. The Bar will also close at 12am. If you wish to extend the bar licence it is charged at £100 per hour or part of hour and this must be paid in advance of your celebrations.